Pat dry. 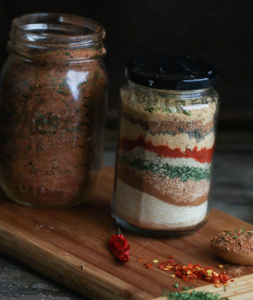 Generously rub with jerk mix. Wrap in plastic and leave in fridge day or two. Remove, let ribs get to room temp. Preheat oven to 500. 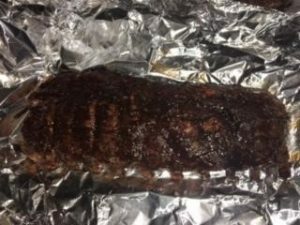 Unwrap ribs from plastic, wrap in foil. Put in oven for 30 minutes, on a pan as they will drip. Turn down to 250 for 2 hours. Remove and open foil LET SIT for 10 minutes. 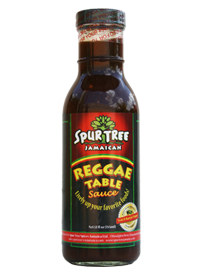 Brush with Spur Tree Reggae Table Sauce or your bbq sauce of choice. Now, you can let them cool, rewrap, and store in fridge for re-heating on a grill.